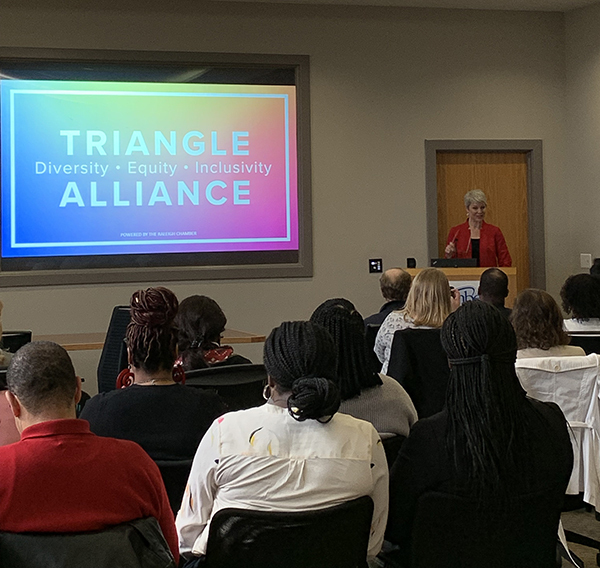 On Tuesday, March 26, Raleigh Chamber President and CEO Adrienne Cole unveiled the Triangle Diversity, Equity, and Inclusivity Alliance. As the voice of the regional business community, the Triangle DEI Alliance will aim to recognize that addressing the evolving demographic changes in our region are fundamental to growth and sustainability. Adrienne noted that the Triangle DEI Alliance will lead to the convergence of knowledge, experience, and ideas from our local businesses community, and will drive the Research Triangle region to become a more inclusive and aware community. 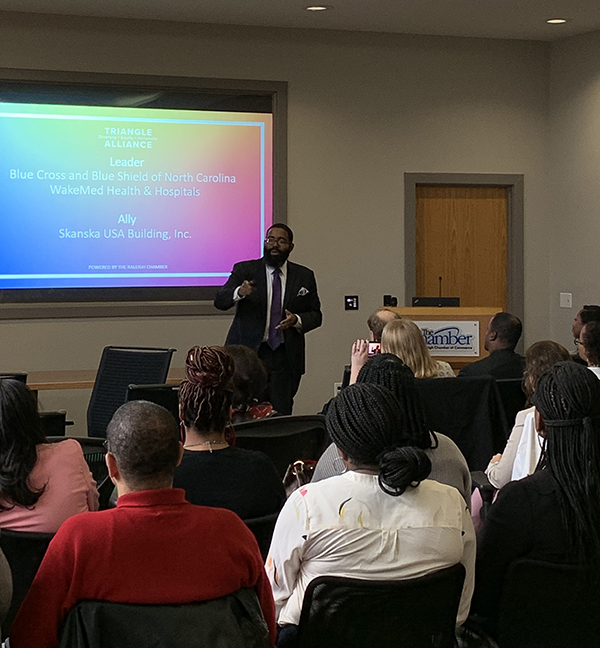 Danya Perry, Director of Diversity, Equity & Inclusivity, Greater Raleigh Chamber of Commerce and Director of Equitable Economic Development for Wake County Economic Development, said “This community is ready to move. Join the DEI journey in the Research Triangle by visiting our website. The formal website will be unveiled late Spring - the URL will be http://www.triangledeialliance.org. Check additional DEI programming here. To learn more or become involved, contact Danya Perry.